Connecting people and generations – Leadership in an ever-changing world. 8 May. Building on our Danish heritage of Mærsk and the A.P. Møller & Chastine Mc-Kinney Møller Foundation this is an invitation only event held in partnership with Saltoftehus, the Danish-UK Association, and Maersk which will explore leadership in uncertain times. Leadership in uncertain times – How to develop ambiguity tolerance, preparedness, and personal resilience. Ruth Berry Programme Director, Explorer Mindset. Ruth will share 20+ years’ of experience in leadership development for multinationals, including Maersk , Royal Dutch Shell, Fujitsu as well as world leading professional services firms, including DLA Piper and Eversheds Sutherland. Ruth’s leadership work focuses on personal effectiveness to accelerate performance, personal resilience, and leading change. 14:00 – Leading innovation in uncertain times – How can leaders shape future global supply networks through digital innovation? Dr Jagjit Singh Srai, Jag is head of the Centre for International Manufacturing, Institute for Manufacturing, University of Cambridge. Dr Srai has extensive experience of advising on large scale complex physical and digital supply chain projects and collaborations to underpin major organisational change. He has advised global corporates including GSK, Astra Zeneca, Lego, Grundfos, Oticon and IKEA. This event is by invitation only and places are limited to 50. We will be operating a waiting list thereafter. Price: DKK 1350 per person, including workshop, breaks and lunch. Payable to Saltoftehus – payment details on successful application. 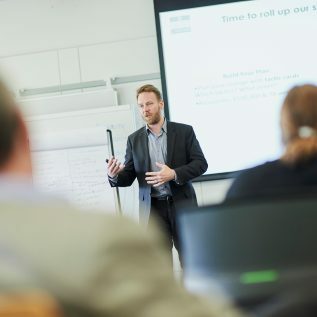 Those attending will qualify for a full refund of the registration fee on any leadership development or coaching programme booked at the Møller Institute by 30 June 2019.